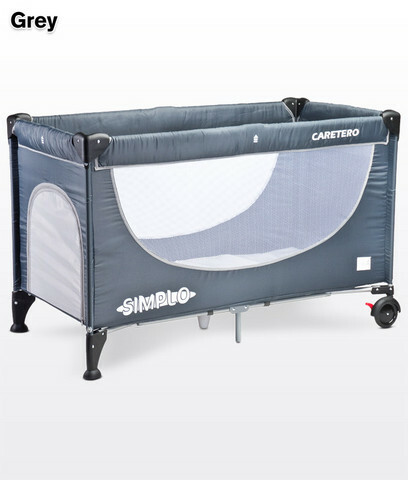 Caretero Simplo is the lightest in the Caretero travel cots line. zipper-opened side door and a practical accessory pouch. Lightweight and easy to handle, it is a perfect choice even for mothers traveling alone with their children.